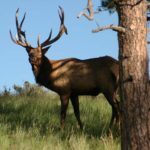 When bowhunters go elk hunting, I believe the biggest problem that faces them is judging distance. 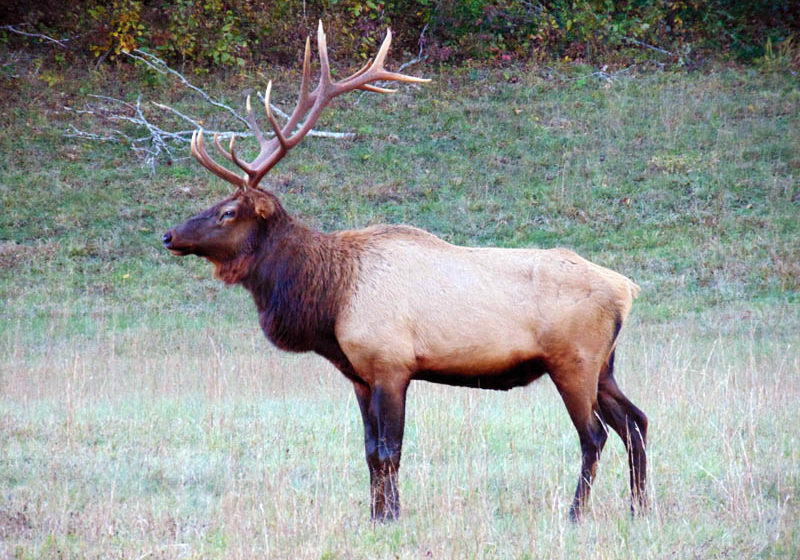 Most bowhunters don’t understand how big a full-grown bull elk is until they’re face-to-face with one. 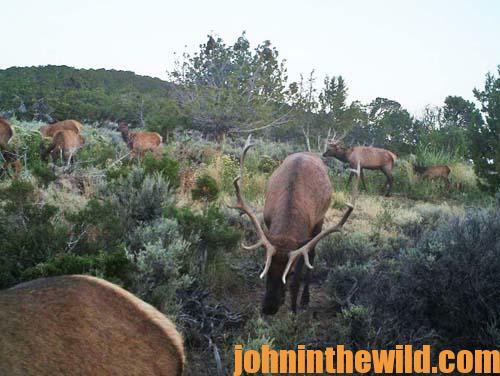 Couple that with the fact that most bowhunters never have had a huge animal like a bull elk screaming at them, bugling, slobbering at the mouth and raking trees in front of them. There’s a ton of excitement that occurs when a bowhunter hunts whitetails. 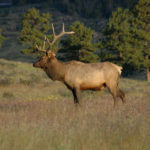 But when you see a bull elk at close range, and he’s doing everything he’s supposed to do, I believe the excitement level or adrenaline rush is taken to a much-higher level than when you’re hunting a whitetail. 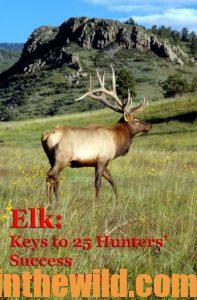 I’ve had hunters forget to breathe when elk have come in really close. They nearly pass out, until they release their arrows and then are gasping for air. I don’t sit right next to my hunters when we have a bull coming toward us. So, I don’t have as much opportunity to coach as I’d like to, since I’m usually set-up about 75-yards downwind from my hunter to start calling. My set-up is somewhat different from the way most people set-up to take an elk with a bow. 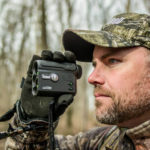 A friend of mine, Ralph Ramos has developed a technique for hunting elk that he calls the X System. He puts his hunter in the middle of the X, and then Ralph stays downwind of the hunter. As the bull comes in, he moves to the left or to the right and uses his calls to drag the bull in front of the hunter. My technique of getting the bull in front of the hunter is what I call the Broken Y System, with one side of the Y shorter than the other. Picture in your mind the letter Y. Elk are much like coyotes. 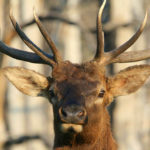 When they come in to calling, they want to get downwind of the caller to smell cow elk before they go to them, and they want to determine if that cow call is coming from a hunter. The exception to that rule is a young bull often will come straight in to the hunter, but we don’t want to take young bulls. Instead of having the wind coming straight into our faces, I prefer to call with a crosswind. I like to bowhunt for elk with two hunters. Here’s why. I put my first hunter – I’ll call him or her the point man – straight in front of me, let’s say with the crosswind moving from right to left, I’ll go about 20 yards straight behind my point man and then move about 50 yards to the downwind side of my point man. My other hunter will be just in front of me. So now, he’s 20 yards behind my point man but 50 or 60 yards downwind of my point man. Most of the time, when a bull comes in, he’ll stop 50 to 75 yards away from where he hears the calling. Then, he’ll usually circle and go downwind. So the way we’re set-up, my point man should get a good shot at the bull that stops right in front of him. But if the bull gets past my point man and starts circling downwind, he’ll usually walk between my point man and the other bowhunter on the short side of the Y. Many times, my point man will get the first shot. 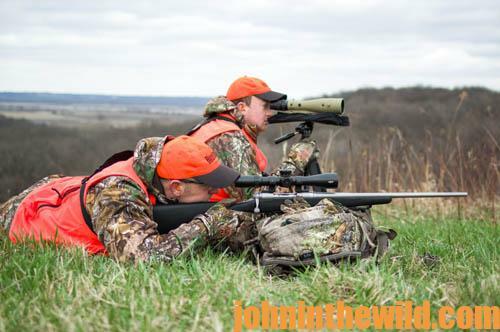 But when the bull jumps, whether he’s hit or missed, he’ll usually run to the downwind side of the hunter. Many, many times I’ve seen the point man miss a bull, and that bull will spook, run and stop right in front of my second hunter who is on the short side of the Y. 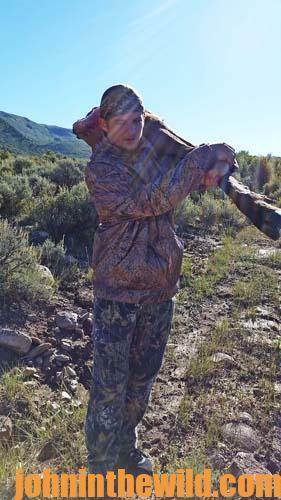 Often my hunter on the short side of the Y will be the hunter who takes the bull. 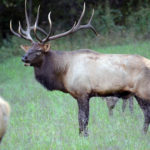 I’m often asked, “How did you learn this technique?” I smile and say, “From many years of screwing up and having the bull go downwind of my hunter where he can’t take a shot at the elk or have my hunter shoot and miss and not get a second shot.” I called for my dad when he was hunting elk, and he would call for me. 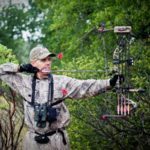 But after awhile, we learned that a bigger bull almost always would stop 50 to 75 yards to the right or to the left of where the calling was coming from – a distance out of most people’s bow ranges. After the bull stopped, he’d circle downwind. More than likely, he’d smell the hunter and be gone. So, we decided that by using the system of two hunters, we could take more and bigger elk, and we developed this two hunter Broken Y System of bowhunting.